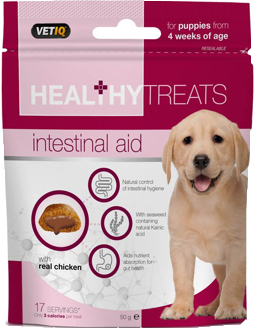 VetIQ Intestinal Aid treats contain a patented blend of brown, green and red seaweeds with scientifically proven active ingredients which help maintain natural control of all areas of intestinal hygiene, aid nutrient absorption in the gut whilst being gentle on the puppy’s stomach and digestive system. VetIQ Intestinal Aid treats also contain a source of prebiotic fibre for healthy gut and digestion. 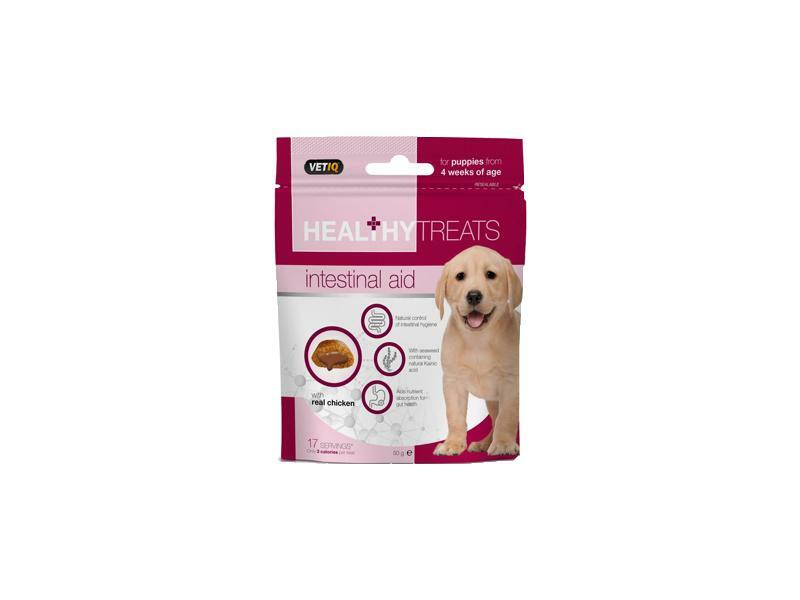 There are currently no questions for Vetiq Intestinal Aid Treats For Puppies - be the first to ask one!